There is no doubt in my mind that the older I get, the less adaptable I become. As wonderful as the time at home was, with so many wonderful times, it did mean there was a huge re-adjustment that had to take place to get back into our life here. After six weeks, I am finally beginning to feel caught up once again. While Steve scrambled to ensure his students were not negatively impacted by his absence, I spent the first week getting the apartment cleaned and restocked and following up on life issues here. That freed me up for a whirlwind trip to Cambodia for a week to get planning underway for the next round of training in early November. Meanwhile, back in KL other transitions were underway. We have made it part of our ministry to welcome the new folks and do what we can to smooth their transition to Malaysia and I have felt very badly that I was away for their first two months. Steve did what he could in July and August, but it is hard to be hospitable at the end of a working day. 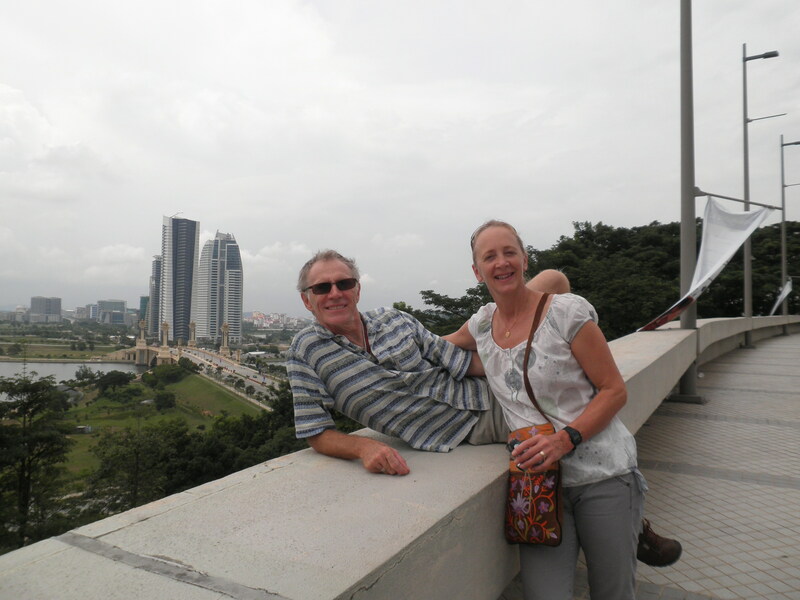 The addition of a vehicle has helped immensely on on our return and we had a great afternoon doing some sightseeing with Peter and Joan at Putra Jaya, shopping in Bangsar Village with Shelley and taking her to church. 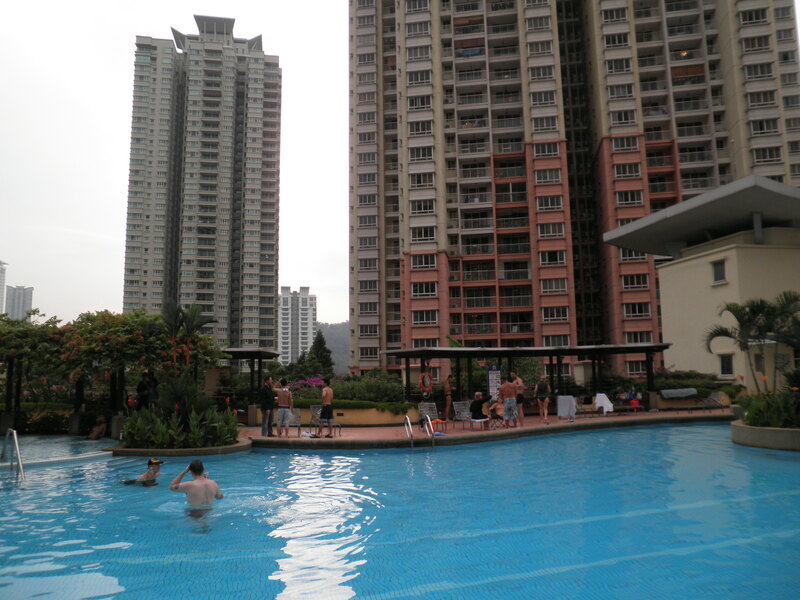 A Saturday pool party in Mont Kiara to celebrate Sandra H’s birthday was a great opportunity to meet some of the new people and to have some good conversations with old friends. The opening of yet another new mall very close to the school provided a great excuse to try out a new restaurant and celebrate Sid’s birthday. We have had two different groups over for dinner at our place to get to know Damon, Shannon, Leah, Dennis and Arlene. The fajitas have been a real hit. We had a fun day-trip to a book fair with my Malaysian Bible Study friends to reconnect with their lives. Tea with Karen and Sharon now has planning underway for the staff Christmas dinner and a feeling that we are back under control. 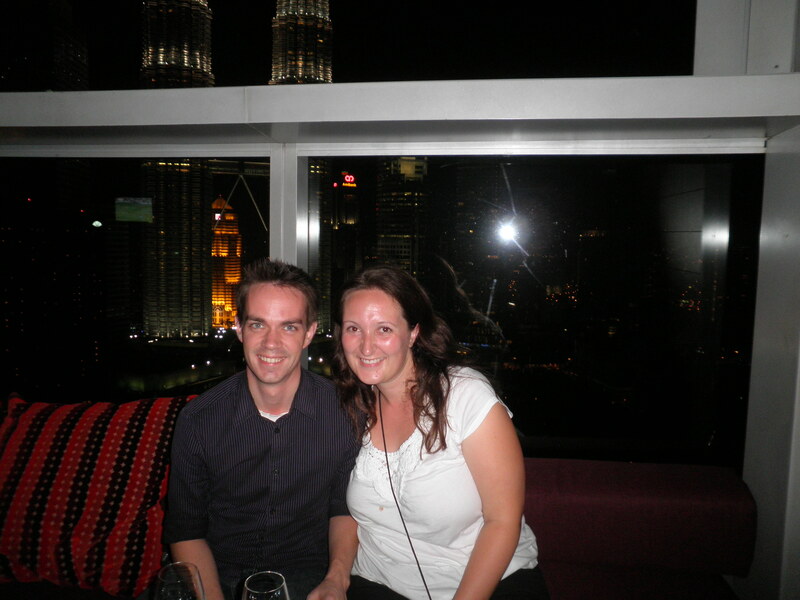 We even had a quick visit with TWR friends from Canada, Jason and Lindy and were able to show them a bit of KL. This is all good because as of next week I will be fully involved with my work with TWR and travelling extensively once again. Next week is Deepavali, the major Hindu festival of the year, and we are planning to take Sandra P. to the local Tamil area of town to take in some local Indian food. Later in the week we will steal a night away at the beach in Port Dickson before I head off to Singapore to meet with some new and reassigned staff. None of this makes much sense to those of you who have steady jobs and a steady income, I know. I have neither and yet for all the uncertainty regarding what comes next in my life I have incredible peace. I know that for some the thought that Another is in control of all things is a scary thought. But I delight in the knowledge that there is a God in Heaven who designs my way. And although it doesn’t make much sense to me at times, I know with all my heart that He is guiding and directing me in what He wants me to do for Him. With this peace comes a great gratitude and joy for the extraordinary privilege of serving a loving God and doing what I can to help some of the hurting people of the world that He loves.